Top: Spread for the Brooklyn Circus Lookbook. 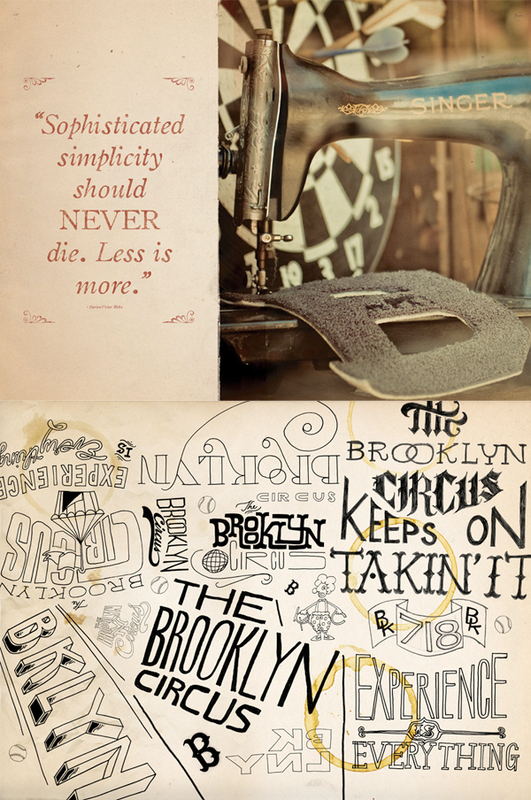 Bottom: hand drawn lettering by Jon Contino as seen in the look book. It takes a ton of work to solve a complex problem and give a simple solution.